The “Symbol of the apostles” (Symbolum Apostolicum or Symbolum Apostolorum) is another Christian creed, formulated in perhaps the third century—earlier than the 325 AD Nicene Creed. 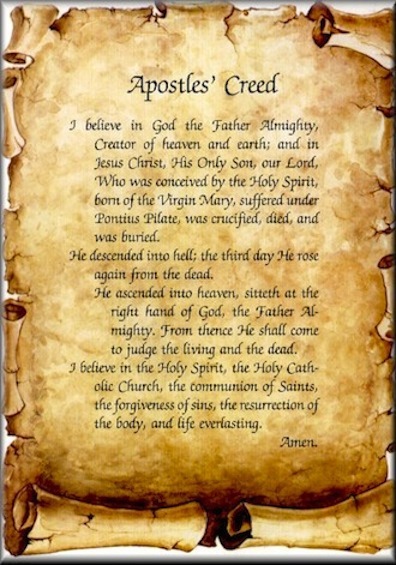 It is also sometimes called the Apostles’ Creed ("creed" and "symbol" were used synonynously). The name stems from a traditional belief that each of the twelve apostles dictated one part of the creed. Gifford notes that Palestrina's Mass for Pope Marcellus “parallels in places” this creed.